Senior Kaytlin Kwong on bar. Photo by Falyn Kelley. 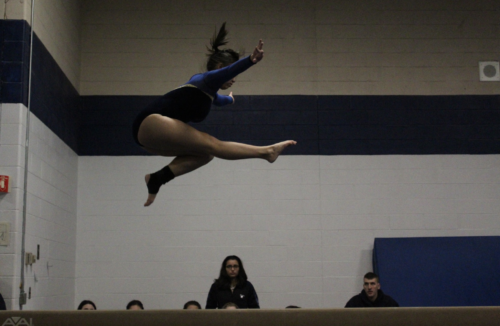 This season has been a never-ending success for Malden High’s Gymnastics team, and they are on their way to finish as strong as they are right now. To Bowdridge, one of the best moments is when “a gymnast learns a new skill and competes it. For the coaching staff, [it is[ always amazing to see gymnasts succeed in what they were trying to accomplish.” So far, every member of the team including returning gymnasts has added new skills to their routines this year. On how they have improved since the beginning of the season, Kwong says that the gymnastics team has “improved so much from the beginning of the season”, saying how the team has been “working hard in practice and [they] have become a much more consistent team”. 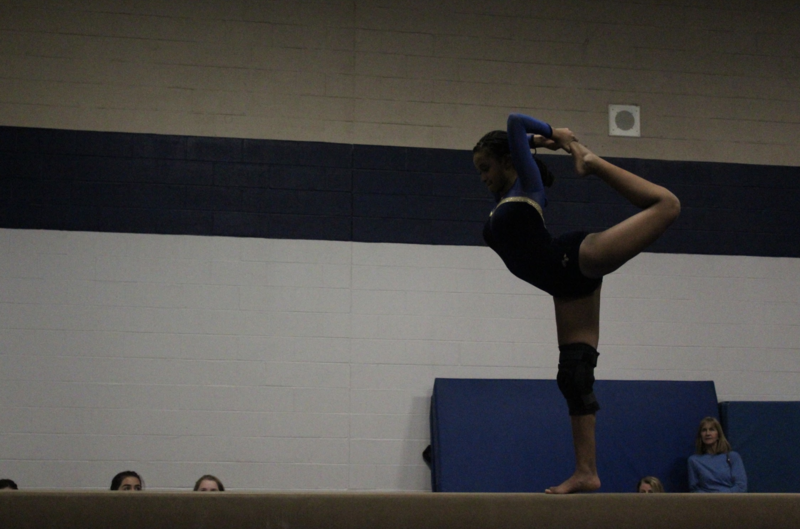 Junior Tihun Lawrence during her bar routine. Photo by Falyn Kelley. As a coach, Bowdridge says that she is “constantly looking for new drills and ways to teach [her] gymnasts.” She explains that “with technology and social media being what it is now, there are so many options available to share and learn different techniques”, adding that she has found that by “networking with other coaches from around the world”, she has been able to learn new drills and different ways to teach skills. She says that “If something [is not] working or someone [is not] getting a skill, [she] can post and ask for suggestions as well as offer [her] own opinions to others that are in similar situations.” Bowdridge adds how networking like this is “very different from years ago when you only had the coaches in your area that you could reach out to”, and admits that she “love[s] having such a wide range of networking available”. This year, the team has improved on both their vault and bar routines. According to Kwong, every event has improved at least a little, but she is “really proud of [their] bar routines” since they have been “working on new skills to add to [their] routines”. According to Bowdridge, Vault is their strongest event this year. She mentions that the assistant coach has been “working very hard with the vaulters to improve [their] form and scores each week”, and their vaulting scores have continued to improve.